Some women love designer items – like bags, shoes and clothing. 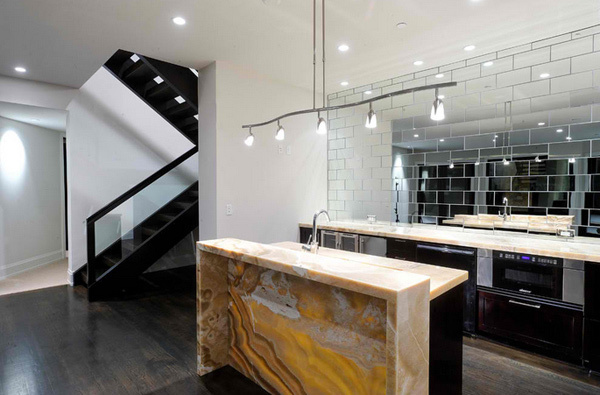 Well, in the field of Architectural Design, we also have something we like to call, Designer Spaces. 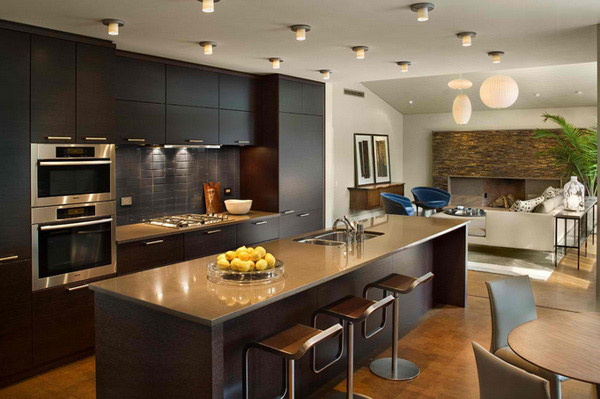 An example for that is this list we have today – 15 Contemporary Designer Kitchens. 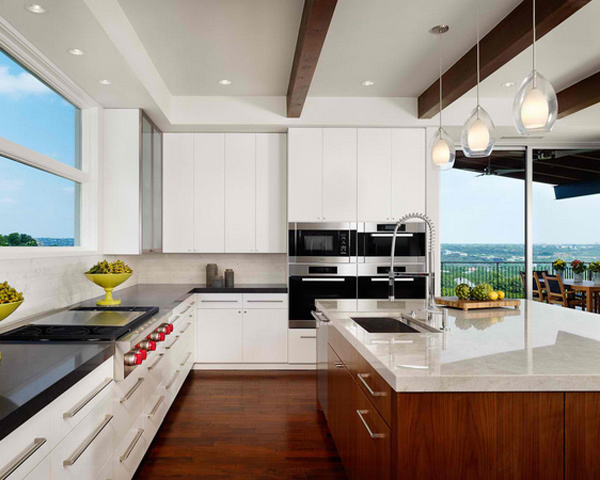 These are kitchen spaces that most likely showcase extraordinary class and sophistication from popular designers and Architects. 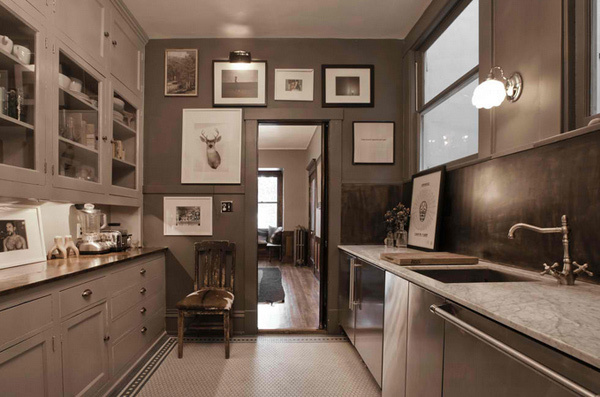 This list comprises of fifteen wonderful kitchen spaces that will blow your minds! The kitchen spaces below are mostly contemporary-modern designs which use materials like wood, concrete and in some cases granite and marble. You might notice if you visit the websites of the designers that they have some materials that they usually use during their projects – we just know that you’ll love them! Take a look below! 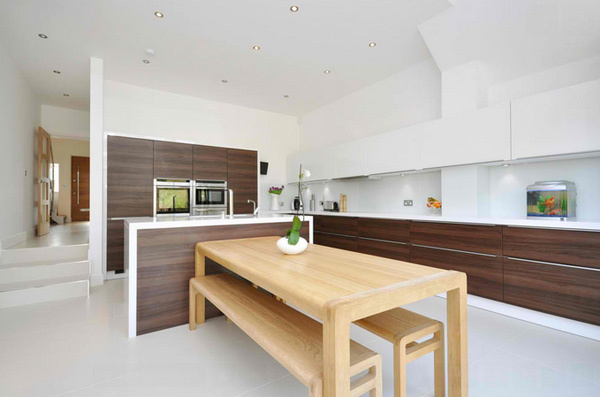 The combination of white and walnut cabinets sure made this kitchen extraordinarily pretty. 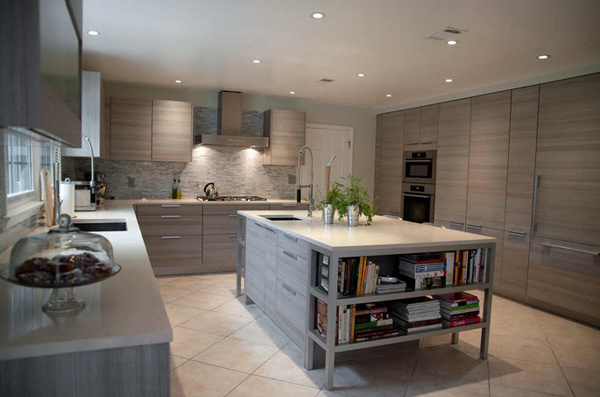 We love the natural feel to this kitchen space. In the overall scheme, what gets delegated to the island is part of the overall flow of working and living patterns. The island is part of a solution, and this is where most of the discussion should focus. Then the details will fall into place. The homeowners kept some of the old appliances, as well as their beloved lime walls, which seem to suit the new space better. 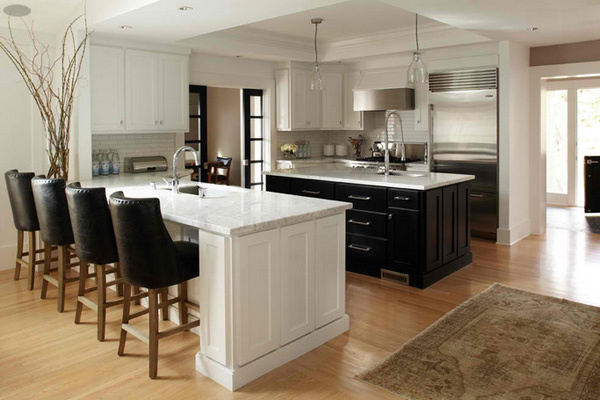 Painted cabinets are paired with an espresso-stained island topped with Carrara marble. The honed finish makes it feel less formal. Create an eye-catching feature wall in your kitchen by extending a bold-colored textured backsplash tile all the way to the ceiling. This larger-format tile works best on a wall where you are forgoing upper cabinets, so the pattern can be fully appreciated. A wall of mirrors, like the tiled one here, does wonders to the room’s perceived size. Contemporary lighting, stainless appliances and accent wall units with frosted glass add interest and complete the urban aesthetic. 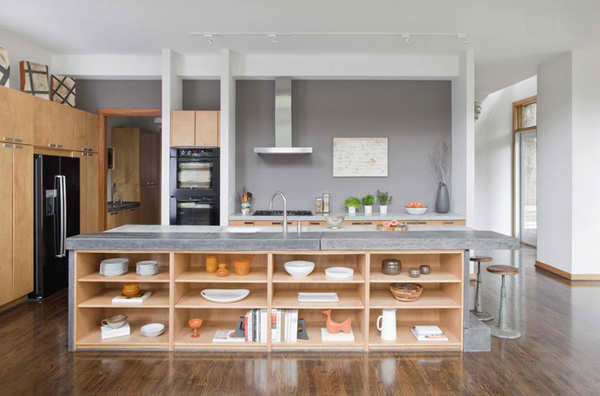 This San Francisco kitchen sure is one lovely space. The contrast on the colors used for it is a classic and sure is sophisticated. We love it! 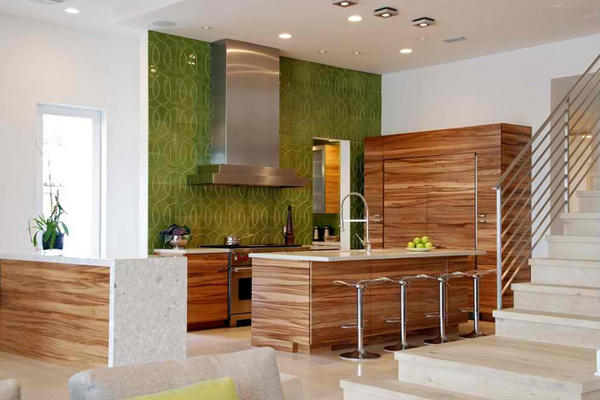 Incorporating wood in a modern kitchen space is beyond measure. 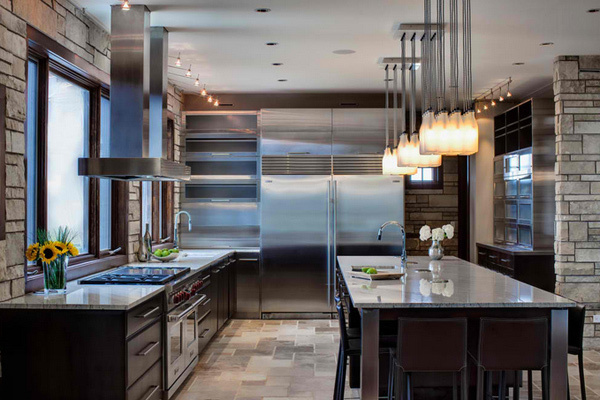 We truly admire the works of LaRue Architects just like this Austin kitchen. 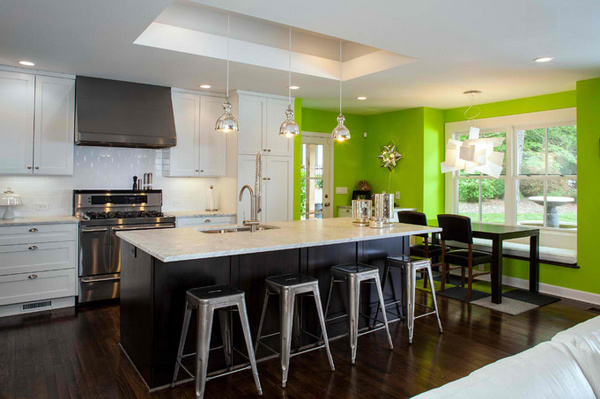 Derrick’s kitchen design preserved the original built-ins but completely changed the feel of the space. He removed a white refrigerator that had covered the kitchen window and had made the space feel much smaller. In its place he installed a long countertop and added an under-the-counter refrigerator and freezer beneath. 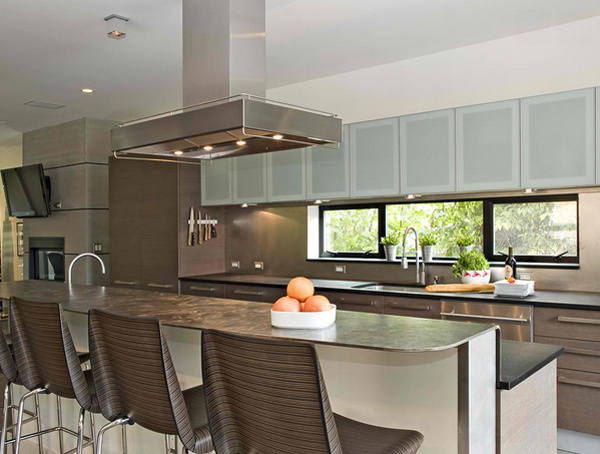 A contemporary kitchen as part of a new home we designed and built. The kitchen was open with good flow between living room, den, and the outdoor patio pool area. The Guckenheimers’ home, along with all Place houses, was made with materials that are nontoxic and low in volatile organic compounds (VOCs). It’s equipped with low-flow plumbing fixtures to conserve water and with Energy Star–rated appliances. 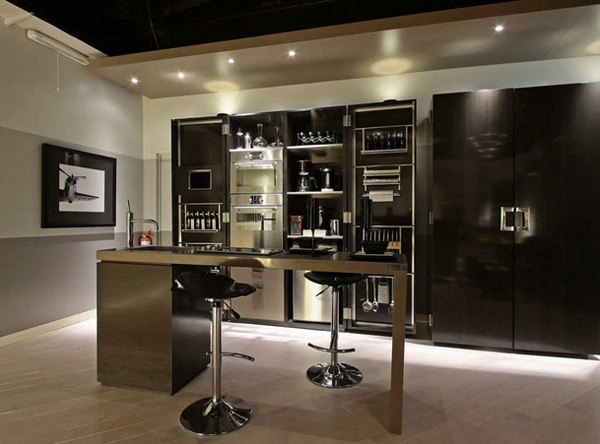 The cabinets and cupboards of this kitchen are superb! We love the color palette and materials used in this kitchen – we even want to note how smart it is to place a small area for book shelves that stores those cooking books we want close by. This classy bar will sway visitors into smooth conversation. With a gradient of color on the wall, the room is anything but boring. Chrome details make the space feel crisp rather than dull – always something to consider when using hues in this range. Re-create elements of the wallpaper. Have wallpaper with distinct shapes or designs? Reflect them in your design. 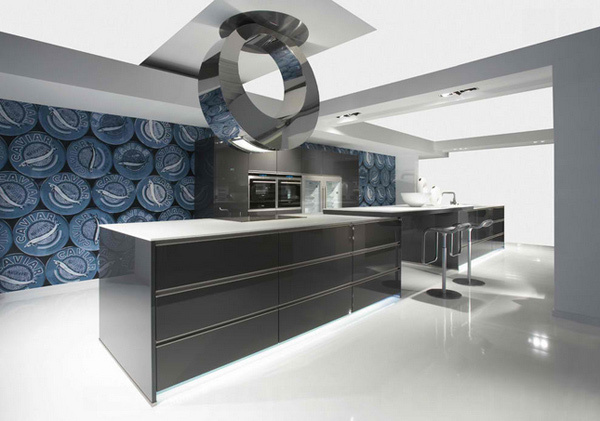 The circular shape of this very unique hood pulls out the circles from the paper while also giving this contemporary kitchen a sculptural element. 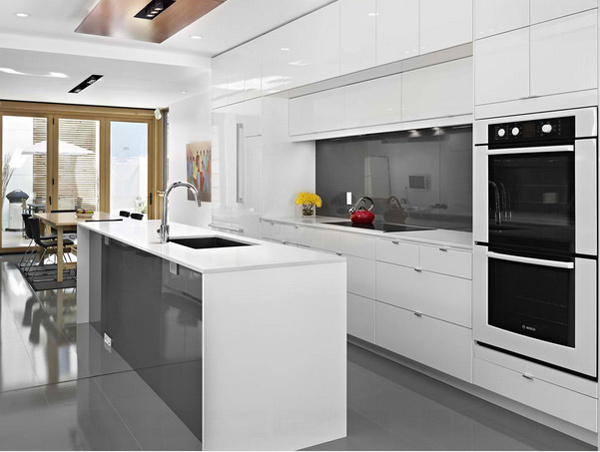 So whether we are talking about clothes, shoes, bags or even kitchens, we hope that you liked the 15 Contemporary Designer Kitchens we have created here to showcase fabulous designs from fantastic Architects and designers. The 15 Designs of Fabulous Italian Kitchens is another list we like to relate to this one because of course, Italian designs are just magnificent and classy. More to come on Home Design Lover!